My blog featured as one of the Top 5 Blogs in India for Photography by Blogadda in 2014. Beautiful blog you have here! Thanks for the follow! Love to see India through your blog, Thanks! Thanks Jessica! 🙂 I am loving the cherry blossom pictures of Japan! It looks beautiful! Thanks for visiting my blog. Isn’t it a small world, I’ve just left Singapore myself, lived there for the past four years. Thanks Mark! Looking forward to see China through your blog. Thanks Yulia 🙂 I am from India and love the way you write about the places you’ve visited, the little details and the photos. Looking forward to more of your travel stories! Thank you Ritu! You have traveled so much, it’s wonderful! 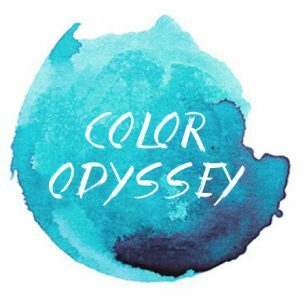 I have nominated you for a Versatile Blogger Award (http://insearchofperfect.wordpress.com/2012/04/25/paying-it-forward/), because your color odyssey has been an inspiration for me! 🙂 Glad I could do this, and enjoy – you deserve it! Thanks for visiting and leaving your appreciating foot prints! Kindly revisit to check out the latest large format! Changed last evening. Will keep myself updated with your postings. Thanks for following my blog- Road Tripping. You know what, I studied textile design too while in college. Thanks Priyanka 🙂 great to connect with you! I studied at NIFT, Delhi. Where did you study textiles? Ritu, you have a beautiful blog here. Thanks for the visit!! Thanks Bullu! 🙂 Congrats on the awards! Got to know about your blog through one of the award posts. Hi Ritu, thank you for stopping by my blog! I LOVE your pictures! You have some stunning captures on your blog. I forgot to ask where you lived before Singapore, so came here to find out. I am from India and lived in various parts of India before I shifted to Singapore. James sent me over to have a look, and I’m so glad he did. I can see I’ll be spending a bit of time here, browsing and looking at your beautiful pictures. Thanks for the compliment 🙂 Yes, please browse around and send in your comments. Loved the quote on your ‘About Me’ page 🙂 Look forward to your posts! What a beautiful blog. Your work is amazing and inspiring! Thanks Daisy! It’s a great compliment coming from you! 🙂 Your food photos are awesome…so clean and appetizing! I have much to learn! Thanks! Welcome to my world! 🙂 Look forward to your posts!
! WOW ! WOW ! WOW ! I am sooooooooo impressed – the whole blog, all these photos, all . . . MEGAGEILERBLOG !!! Et je dois dire: chapeau ! Thank you for the liking! My two children went to India last year and can now confirm my speaking of the so magnificent colours over there. You have a great blog! I guess you share my passion for traveling too…I will follow you. Thanks Ann-Christine 🙂 and thanks for the follow! Glad you like my work. Hello Ritu, wanted to let you know I suggested my readers check out your blog on my most recent post here http://travelsandtrifles.wordpress.com/2013/04/14/weekly-photo-challenge-change-word-a-week-dawn/ . Happy Blogging! Thanks for liking my post, “Food photography: Is it deceptively good?”! Thanks Sharon! Glad our paths crossed 🙂 Look forward to your posts. Thanks for the recent visit to and follow of my blog. I’ve spent a bit of time poking around your blog and enjoying the outstanding travel photography. Terrific stuff. Thanks Kerry 🙂 Look forward to your posts! Hello Ritu. Nice to meet you. Thank you for visiting our blog, and for following. I hope you enjoy the stories of our journey, both inner and outer. I’ve been looking around your blog – your photos are exquisite, and I loved the posts about Pushkar. We too were there for the camel fair and you’ll find 3 posts about it on my blog if you’re interested. An amazing time and place. I can see your love of colour and design in your photos. So beautiful. I have the same loves. Hi Alison, Nice to meet you too 🙂 Look forward to your posts! Hi Ritu,Nice to meet you.Thanks for visiting my blog and following it. Your photography portfolio is awesome! Design and travel are also good! Gone through Website and behance profile Thanks for sharing. absolutely mesmerizing…….i can stare at these visuals for hours, getting transported instantly to the places….thank you! Be blessed…. Thanks a lot Krish 🙂 It’s very encouraging!